The cultivation of alfalfa most likely began before recorded history, so it is difficult to determine who first farmed it. However, historians are in agreement that the plant is indigenous to Mesopotamia in Western Asia. The region that was once Mesopotamia is now occupied by parts of various countries including Turkey and Iran. The name alfalfa comes from the Arabic word al-fisfisa which means horse fodder. Alfalfa is also called lucerne in parts of Europe as well as in Australia and Brazil. Alfalfa would make its way to Arabia and then to Greece around 490 BC. As with many other plants, the Romans would take alfalfa with them throughout Western Europe. Alfalfa was as important to early Babylonians as it was to the Greeks and the Romans. Its value lay in the fact that it was excellent food for the horses they used in war. It was the ancient world’s gasoline. Spanish and Portuguese explorers introduced alfalfa to the New World. They would take it to Mexico and Peru first, and then elsewhere in South America during the 17th and 18th centuries. Chile would be the source of alfalfa seeds brought to California in the 19th century. Chilean alfalfa may have been the first to California, but it was not the first in the U.S. as it had been introduced on the Eastern seaboard in the previous century. Immigrants from Europe are said to have brought alfalfa seeds with them and planted them at various points along the way as they moved west. It was cultivated in Georgia and then in North Carolina. Both Thomas Jefferson and George Washington grew it. Conditions in this part of the country were not ideal and as a result, very little of the U.S. alfalfa crop was grown in the East. Alfalfa was still relatively unknown until the California Gold Rush of the Mid-19th century. By the end of the 19th century, alfalfa was being grown in Montana, Iowa, and Ohio among other places. The flavor from alfalfa sprouts is mildly nutty and they have a crunchy texture. Vitamins: You can get vitamins B, C and K from alfalfa sprouts. Minerals: Alfalfa provides manganese, phosphorus, and zinc. 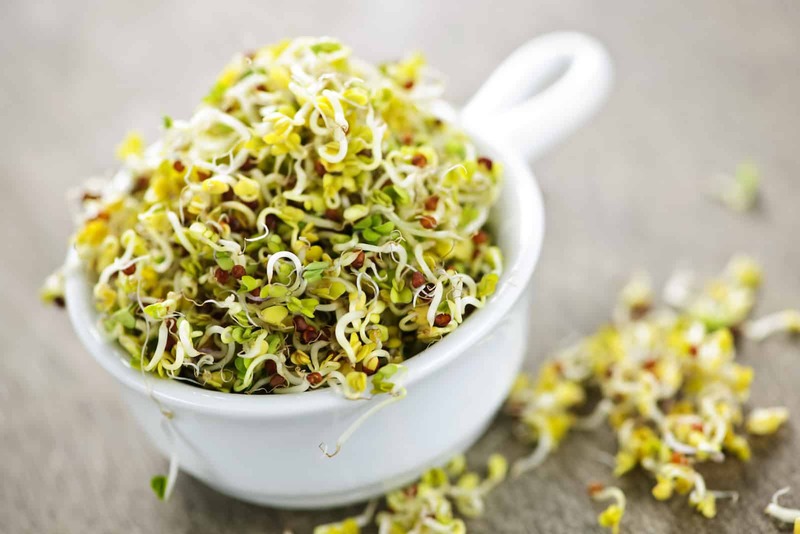 Fiber: Alfalfa sprouts are a rich source of dietary fiber. Cancer: Along with the compounds listed above, alfalfa sprouts also contain phytoestrogens. These compounds offer protective benefits relating to breast cancer. Osteoporosis: The vitamin K in alfalfa sprouts is important for bone health and can help to prevent age-related loss of bone density. Cardiovascular illness: Alfalfa sprouts can help to lower cholesterol, so they may lower the risk of death from heart disease. Note that all vegetable sprouts are risky from a food safety standpoint. The environment in which they are grown is particularly suitable for E. coli and other bacteria that cause foodborne illness. Wash them thoroughly before use to lower the risk. You can lightly cook alfalfa sprouts or you can eat them raw in salads or on sandwiches. Light cooking is necessary because they wilt very easily. 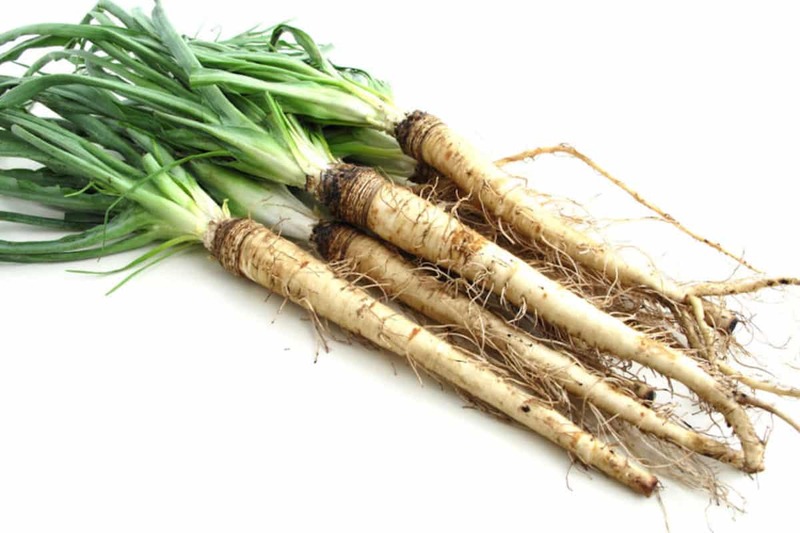 If you add them to a stir-fried dish, add them during the last 30 seconds of cooking time.